The Ballyneal Foundation was formed because of the staff, caddies, and surrounding communities that have created what you have come to know and love as the ‘Ballyneal Experience.’ The Ballyneal Foundation provides members and guests the opportunity to give back to the people that have made a difference in our club and local community. 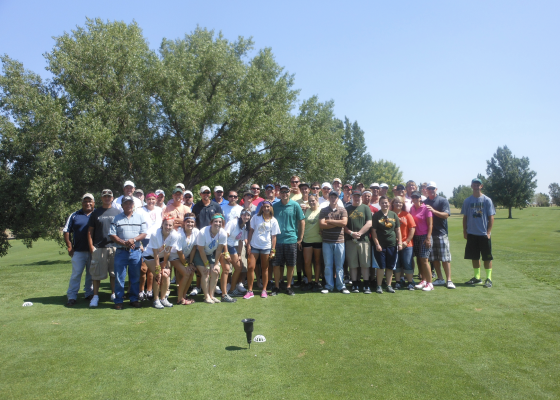 A donation to the foundation is an investment in the long-term success of Ballyneal. The foundation is driven to reward deserving club employees with scholarships and to give back to any worthwhile cause in the local community. The foundation will also continue its strong relationship with the Evans Scholars Foundation through yearly donations. The foundation is driven to give back to any worthwhile cause in the local community and to present any deserving employee with scholarships. 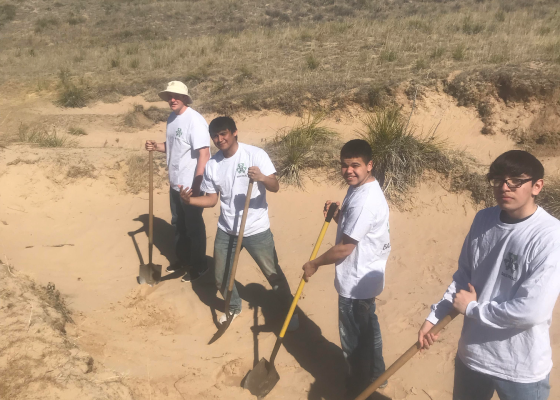 The Ballyneal Foundation takes pride in rewarding any deserving student with a scholarship to the school of their choice to help achieve their academic goals. A minimum award of $2,500 will be given to students who are selected for the Foundation Scholarship. The award is renewable for up to four terms. Have been employed or an independent contractor of Ballyneal Golf Club or a professional in the golf industry in Colorado or Nebraska within the last three years. Expected but not required to be employed at Ballyneal Golf Club the year they are applying for the scholarship. Must be a student in good standing and currently enrolled in high school, has graduated from high school or has obtained their GED at time of application. Applicants enrolled in college or trade school must be in good standing at the time of application. Please provide your EFC (expected family contribution score) received from the FAFSA application and/or provide information on education expenses will be covered. *Please provide a one page essay that explains your background, goals, what you expect from a college education and explain, if any, what life values you have learned at Ballyneal or through golf, and how you plan to use them in your future endeavors. means to you and what experiences it has afforded you. Ballyneal Foundation Scholarship applicants will receive consideration when all the above requirements have been submitted accurately and completely. All applicants awarded scholarships will be notified by the committee in March.